A novel distribution function is proposed for describing the spatial distribution of soil water storage capacity, and then the classical and empirical hydrologic model (the SCS curve number method) is derived as when the initial soil water storage is zero. This distribution function unifies the SCS curve number method and probability-distributed models such as the VIC and Xinanjiang models. The unified model provides a better way for modeling surface runoff. We show event- and pre-event-water volumes as fractions of precipitation, rather than discharge, to provide an alternative and more insightful approach to study catchment hydrological processes. 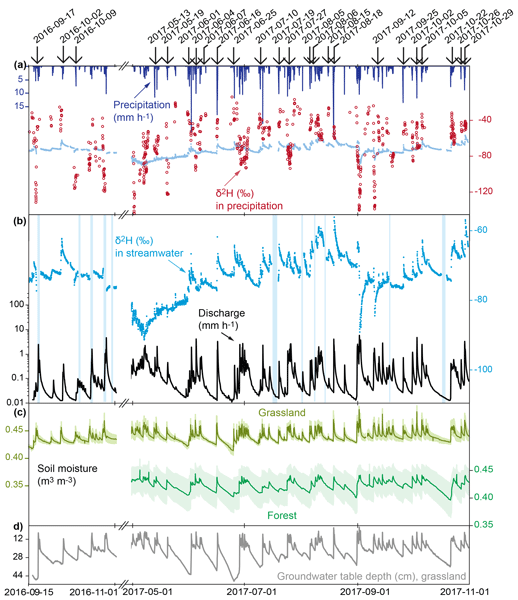 For this, we analyze 24 storm events using high-frequency measurements of stable water isotopes in stream water and precipitation at a pre-Alpine catchment. Antecedent wetness and storm characteristics are dominant controls on event-water discharge and pre-event-water mobilization from storage. The curve number (CN) method is the most widely used approach for estimating runoff from rainfall. Despite its popularity, there is a conceptual flaw where CN varies with rainfall although it is assumed to be constant. In this paper, we describe theoretical analyses that show how this behavior is due to watershed heterogeneity, and we then provide simple modifications to the method to improve its runoff predictions. The findings will benefit hydrologists and watershed models that use CN method. 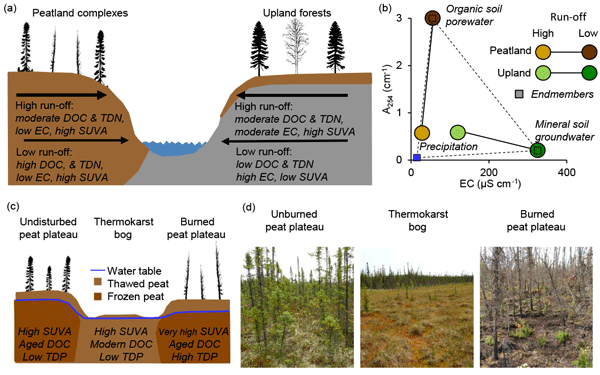 In this study we investigated whether climate change and wildfires are likely to alter water quality of streams in western boreal Canada, a region that contains large permafrost-affected peatlands. We monitored stream discharge and water quality from early snowmelt to fall in two streams, one of which drained a recently burned landscape. Wildfire increased the stream delivery of phosphorous and possibly increased the release of old natural organic matter previously stored in permafrost soils. 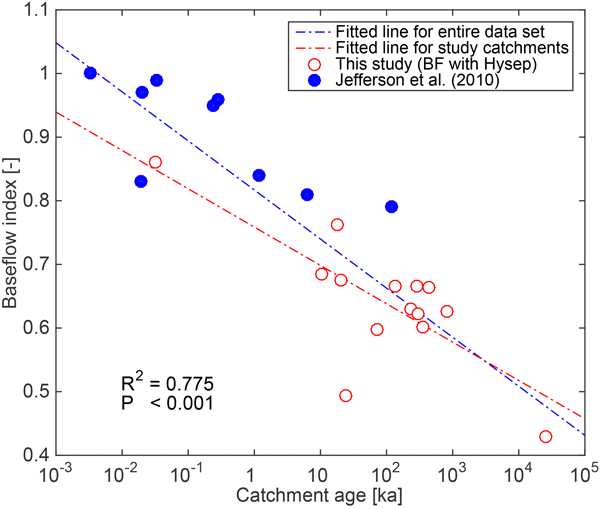 We explored how the fraction of streamflow younger than ca. 3 months (Fyw) varies with landscape characteristics and climatic forcing, using an extensive isotope data set from 22 Swiss catchments. Overall, Fyw tends to be larger when catchments are wet and discharge is correspondingly higher, indicating an increase in the proportional contribution of faster flow paths at higher flows. 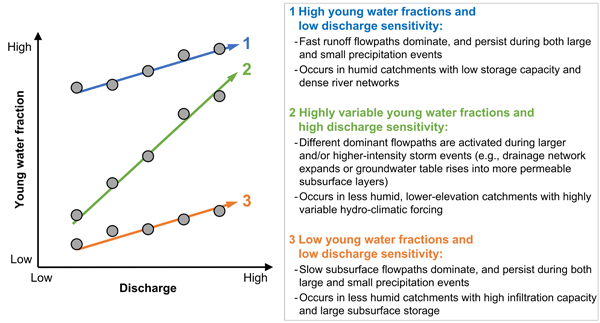 We quantify this discharge sensitivity of Fyw and relate it to the dominant streamflow-generating mechanisms. Evaporation causes the isotopic composition of soil water to become different from that of the original precipitation source. If multiple samples originating from the same source are available, they can be used to reconstruct the original source composition. However, soil water is influenced by seasonal variability in both precipitation sources and evaporation patterns. We show that this variability, if not accounted for, can lead to biased estimates of the precipitation source water. In this study, a screening approach was applied on a set of streamflow records for which various human influences are indicated to identify streamflow records that have drought characteristics that deviate from those expected under pristine conditions. Prolonged streamflow drought duration, a weaker correlation between streamflow and precipitation, and changes in streamflow drought occurrence over time were related to human influences such as groundwater abstractions or reservoir operations. 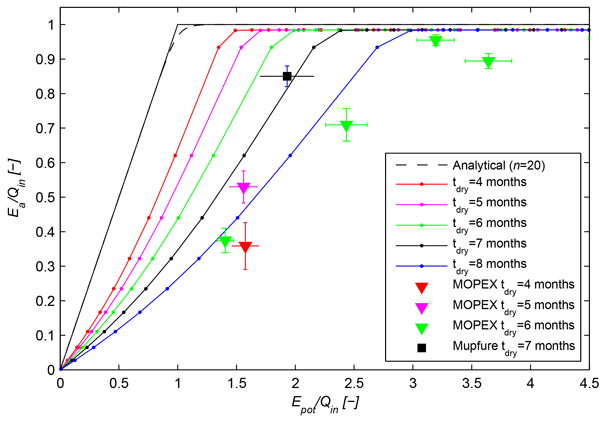 The paper proposes a dimensionless framework to investigate the impact of the rainfall event structure on the runoff peak. A set of analytical expressions are derived from a constant hyetograph to assess the maximum runoff peak for a given event structure irrespective of the specific catchment. A catchment application is discussed to point out the dimensionless procedure implications and to provide some numerical examples of the rainfall structures with respect to observed rainfall events. The study shows the importance of the connection between groundwater and surface water nutrient chemistry in a lowland delta area – the greater Amsterdam area. We expect that taking account of groundwater–surface water interaction is also important in other subsiding and urbanising deltas around the world, where water is managed intensively in order to enable agricultural productivity and achieve water-sustainable cities. The role that hydrology plays in controlling the interplay between dissolved organic carbon (DOC) and nitrogen in rivers of lowland, agricultural landscapes is poorly understood, yet important to assess given the potential changes to production and delivery of DOC and nitrate arising from climate change. We measured DOC and nitrate concentrations in river water of the lowland river Hampshire Avon (Wiltshire, southern UK), revealing significant seasonal variations in DOC : nitrate transport. 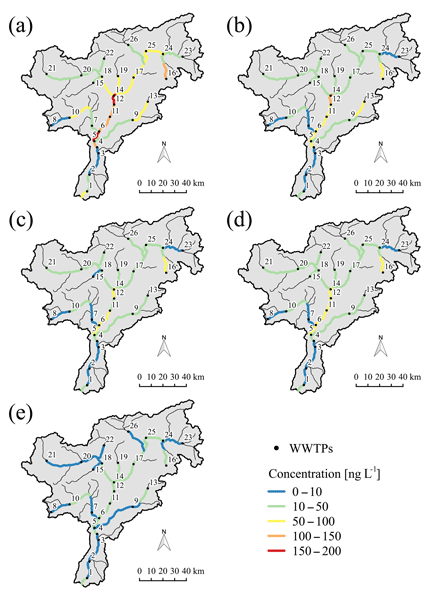 This study extracted spatio-temporal patterns in the effects of LUCC and precipitation variability on sediment yield across the Loess Plateau during 1961–2011. 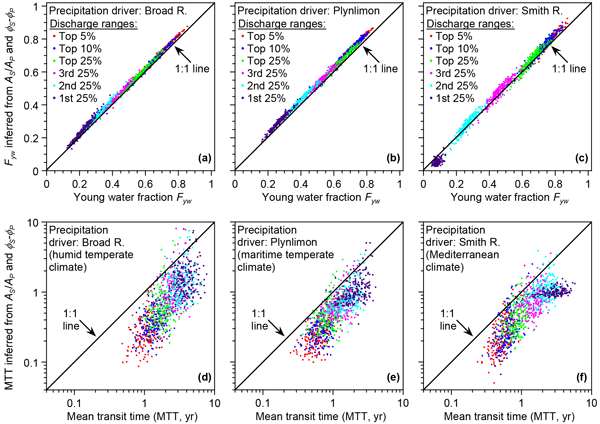 The impacts of precipitation on sediment yield declined with time and the precipitation-sediment relationship showed a coherent spatial pattern. The sediment coefficient, representing the effect of LUCC, decreases linearly with fraction of area treated with erosion control measures and the slopes were highly variable among the catchments. It is critical to identify the origins of water in arid and semiarid regions for management and protection of the water resources. The D, 18O, 3H and 14C in water samples from the Badain Jaran Desert, China, were analyzed. The results show that groundwater supplies the lakes and originates from local precipitation and adjacent mountains. Negative d-excess values of water in the area were the result of evaporation. The 14C ages do not represent the residence time of local groundwater. This paper addresses the evaluation of extreme floods in western/central Europe in terms of different index variants. The comparison of extreme floods' rankings is presented, as well as the main characteristics of temporal and spatial distributions of flood extremes. The results will be used for the assessment of related meteorological conditions. A comparison of major floods with precipitation and circulation extremes will be useful for a better understanding of the causes of extensive floods. 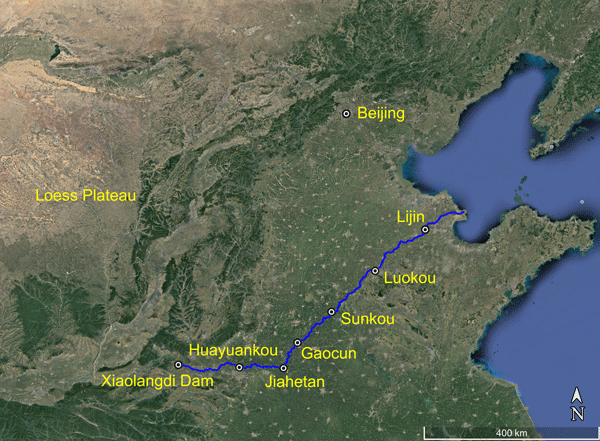 The goal of the paper is to analyze the theory of water age inside a catchment while accounting for multiple outflows. It tries to propose the material under a new perspective where it lines up concepts, cleans the notation, discusses some classical results, and offers some examples that help to relate the modern achievements to the theory of the IUH, clarifying assets of both of them. In doing all of this, it also produces various new results, and some regarding solute transport. The evolution of root-zone moisture capacities after deforestation: a step towards hydrological predictions under change? The core component of many hydrological systems, the moisture storage capacity available to vegetation, is typically treated as a calibration parameter in hydrological models and often considered to remain constant in time. In this paper we test the potential of a recently introduced method to robustly estimate catchment-scale root-zone storage capacities exclusively based on climate data to reproduce the temporal evolution of root-zone storage under change (deforestation). A technology for the spatial derivation of soil texture classes is presented. Information about soil texture is key for predicting the local and regional hydrological cycle. It is needed for the calculation of soil water movement, the share of surface runoff, the evapotranspiration rate and others. Nevertheless, the derivation of soil texture classes is expensive and time-consuming. The presented technique uses soil samples and remotely sensed data for estimating their spatial distribution. High-frequency water quality measurements at a pumping station where excess water is pumped out of a polder catchment have indicated that nitrate from agricultural areas is drained away relatively quickly in wet periods, but that phosphate is actually retained much more in polder systems than in free drainage areas. Phosphate emissions occur, therefore, not predominantly in winter, but due to the delayed release from the bed sediments and by feeding from the groundwater, rather in summer. We analyse how stream discharge declines after rain storms. This "recession" behaviour contains information about the capacity of the catchment to hold or release water. 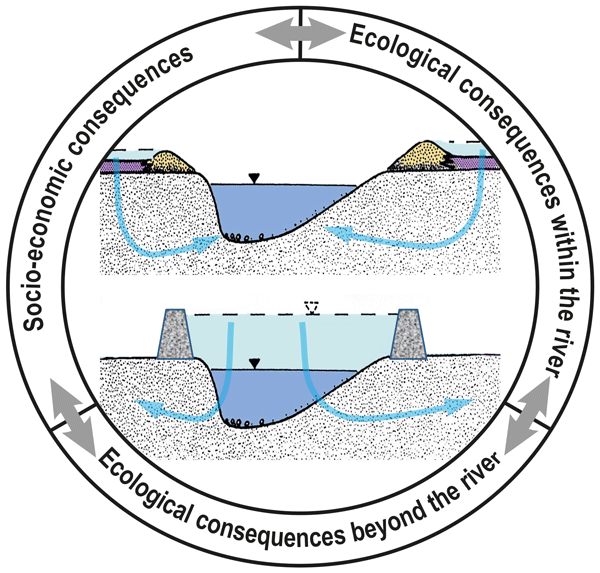 Looking at many rivers in Sweden, we were able to link distinct recession regimes to land use and catchment characteristics. Trends in recession behaviour are found to correspond to intensifying agriculture and extensive reforestation. 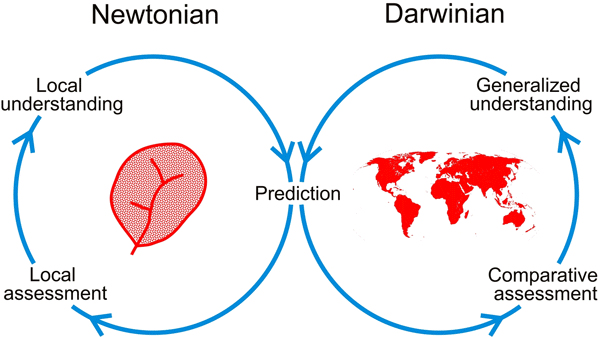 We conclude that both humans and nature reorganizes the soil in order to enhance efficiency. We quantified how long snowmelt affects runoff, and we estimated the sensitivity of catchments to changes in snowpack. This is relevant as the increase of air temperature might cause decreased snow storage. We used time series from 14 catchments in Switzerland. On average, a decrease of maximum snow storage by 10 % caused a decrease of minimum discharge in July by 2 to 9 %. The results showed a higher sensitivity of summer low flow to snow in alpine catchments compared to pre-alpine catchments. We define the equivalent precipitation to include local precipitation, inflow water and soil water storage change as the water supply in the Budyko framework. With the newly defined water supply, the Budyko curve can successfully describe the relationship between the evapotranspiration ratio and the aridity index at both annual and monthly timescales in unclosed basins. We develop a new Fu-type Budyko equation with two non-dimensional parameters (ω and λ) based on the deviation of Fu's equation. To ensure reliable model results, hydrological processes have to be represented adequately in models. We present a framework that uses a temporal parameter sensitivity analysis and observed hydrological processes in the catchment to verify hydrological models. The framework is exemplarily applied to verify the groundwater structure of a hydrological model. The results show the appropriate simulation of all relevant hydrological processes in relation to processes observed in the catchment. We introduce TopREML as a method to predict runoff signatures in ungauged basins using linear mixed models with spatially correlated random effects. The nested nature of streamflow networks is accounted for by allowing for stronger correlations between flow-connected basins. 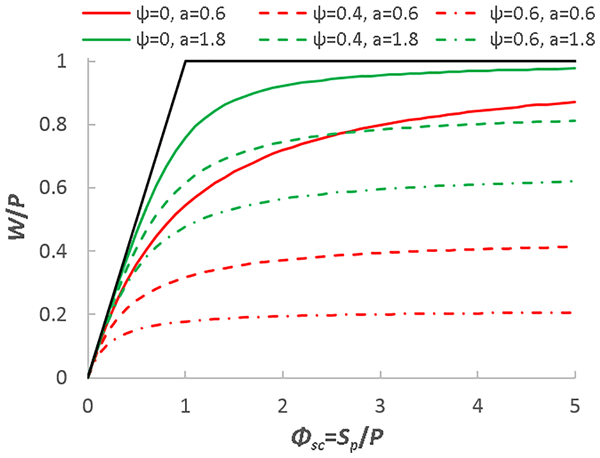 The restricted maximum likelihood framework provides best linear unbiased predictions of both the predicted flow variable and its uncertainty as shown in Monte Carlo and cross-validation analyses in Nepal and Austria. This paper presents new baseflow separation and recession analysis methods for streamflow. The baseflow separation method ("bump and rise method" or BRM) aims to accurately simulate the shape of tracer-determined baseflow or pre-event water. The recession analysis approach advocates analyzing quickflow and baseflow as well as streamflow because analyzing the latter alone gives misleading information on catchment storage reservoirs. The methods are demonstrated for the Glendhu streamflow record. Current hydrological change detection methods are subject to a host of limitations. 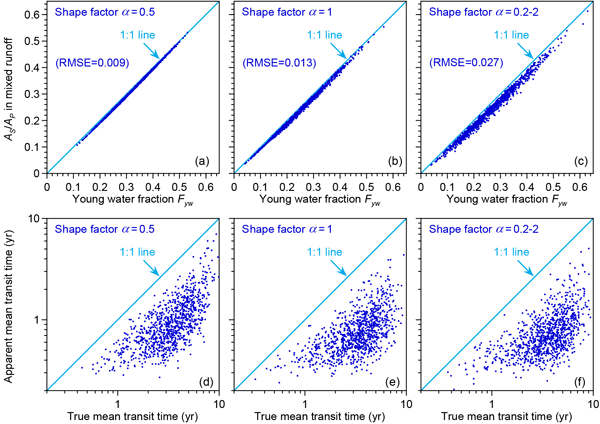 This paper develops a new method, temporally shifting variograms (TSVs), which characterises variability in the river flow regime using several parameters, changes in which can then be attributed to precipitation characteristics. We demonstrate the use of the method through application to 94 UK catchments, showing that periods of extremes as well as more subtle changes can be detected. HESS Opinions "Integration of groundwater and surface water research: an interdisciplinary problem?"